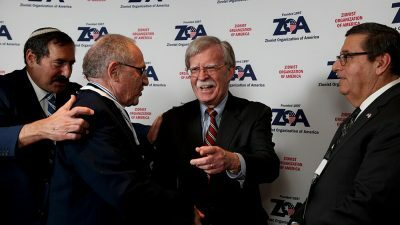 The Zionist Organization of America (ZOA) recently awarded U.S. National Security Adviser John Bolton the “Defender of Israel Award” during its annual awards dinner, which took place in New York on Sunday night. Indeed, beginning in August 2017, the ZOA – under the leadership of its president, Morton Klein –led the campaign to remove former National Security Adviser H.R. McMaster from his post after railing against McMaster’s “anti-Israel” positions, most notably his support for the Joint Comprehensive Plan of Action (JCPOA), better known as the Iran nuclear deal.